"We were sent Health Extension Elk Antlers from Chewy.com in exchange for an honest review. Dz Dogs only supports products that we feel are relevant to our readers. This blog contains NO affiliate links, all thoughts and opinions are our own." 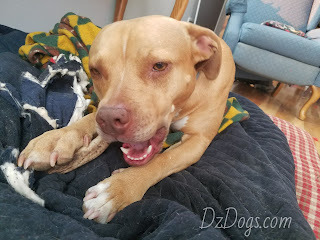 It's been a month and so far the Dz pups have not finished off these treats. Instead, they seem to enjoy leisurely chewing. Rolling their eyes back, and savoring the antlers slowly as well as proudly carrying their prize through the house showing it off to anyone who pays attention. 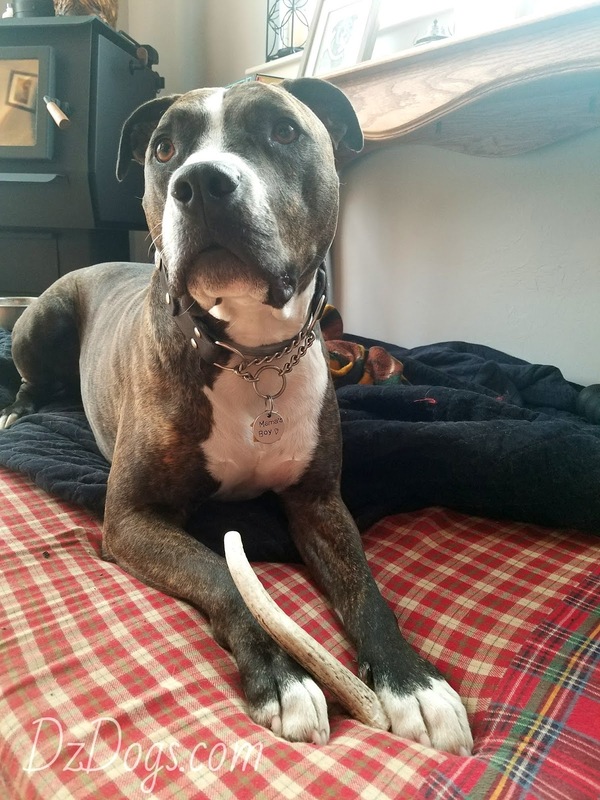 While these treats are not cheap, they are all natural high quality USA antlers from free range elk. Digestible, and high in iron, glucosamine, potassium, and calcium. Long lasting and odor free. These antlers were naturally shed and came from free range US elk. 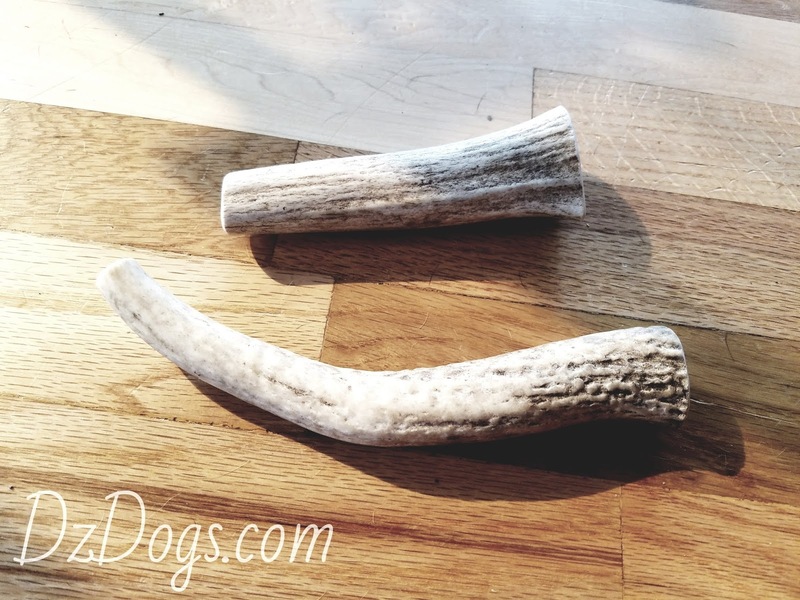 Depending on who you ask you're going to hear conflicting things regarding the safety of giving antlers to your dogs. Some dogs have been known to crack a tooth on such a hard chewing object, so this is definitely something to consider before giving one to your dog. If you have any concerns check in with your veterinarian. Dante and Ziva like to gently chew these and take their time, they don't seem to just CHOMP down so I'm not too worried about it. I wouldn't however give these to an aggressive chewer, that could definitely make for a cracked or broken tooth. But like any chew toy, always make sure you supervise your dog and definitely remove/throw it away when it gets small enough to swallow whole. I love these, they've been a great break for me! I haven't had to purchase any chews all month, and I'm curious as to how long they will last. I'll keep you posted!